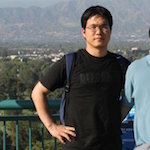 Moonbeom, he is an independent researcher for APT group tracking and profiling, has 10 years of experience in hacking analysis, digital forensic, research on hacking and forensic, profiling hacking source. He is one of experts among government and private sector in fields of forensic, hacking analysis, hacker profiling, counter-attack on hackers. Also he has participated in various international security conference such as TROOPERS, HITB-GSEC, HITCON, Ekoparty, VXCON.